Properties in Saint Marys average 4.5 out of 5 stars. Hang up all your cares and woes and head to Southern Bell! Property 9: Hang up all your cares and woes and head to Southern Bell! CUMBERLAND ISLAND IS OPEN! 2B 1B Pet Friendly in Historic District - 2 Bikes. Property 10: CUMBERLAND ISLAND IS OPEN! 2B 1B Pet Friendly in Historic District - 2 Bikes. Historic 4-bedroom. Closest to ferry. Pets welcome! Property 13: Historic 4-bedroom. Closest to ferry. Pets welcome! Million $ Home with a million $ view ! Property 14: Million $ Home with a million $ view ! The Lil Pink House beckons, relax under the Live Oaks! Property 19: The Lil Pink House beckons, relax under the Live Oaks! 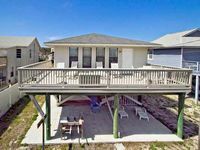 Seagrove House - Spend Every Weekend or Just Stay All Summer! Property 20: Seagrove House - Spend Every Weekend or Just Stay All Summer! St Marys Home in Historic District, Walk to Shops! Property 22: St Marys Home in Historic District, Walk to Shops! A Little Slice of Heaven in Fernandina Beach. Property 28: A Little Slice of Heaven in Fernandina Beach. Sea Nook is at the Beach! Property 29: Sea Nook is at the Beach! 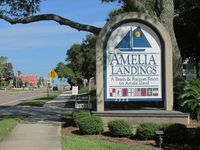 2BR/2BA Amelia Island Condo w/ Easy Beach Access! Property 31: 2BR/2BA Amelia Island Condo w/ Easy Beach Access! 1 Perfect sun-filled beach townhouse, only 20 steps to the beach! Property 32: 1 Perfect sun-filled beach townhouse, only 20 steps to the beach! Don't procrastinate - Book now for Summer! Property 41: Don't procrastinate - Book now for Summer! Tranquil 3 bed/2 bath Townhouse with pool, tennis-just 200 yards to the beach. Property 42: Tranquil 3 bed/2 bath Townhouse with pool, tennis-just 200 yards to the beach. PJ's Peaceful Pad, in Pet Friendly Fernandina Beach ! Life Is Good !! Property 44: PJ's Peaceful Pad, in Pet Friendly Fernandina Beach ! Life Is Good !! Any Closer to the Ocean and You'd Get Wet ! Property 45: Any Closer to the Ocean and You'd Get Wet ! Great stay. Second time here. Lots of beach time. Short walk to the beach. Love the big deck. Quiet, peaceful location. Well appointed and maintained. Screened porch is an added treat.